jamalTry to arrange mixes with people on ur skill level (probably the best option) or just keep adding till u get picked. If ur not a notable player, getting picked in pugs is just about patience. What about TF2Center and TF2 Pro league? They seem to be very inactive, but are they actually? I wanna try getting in to pugs, but I dont know what to expect, really. Thus far it seems pugchamp is the best but it also seems that there is a high chance you wont get picked and wont be able to play, and you will have to play really good players, but I dont see any other alternative that is actually semi-active? 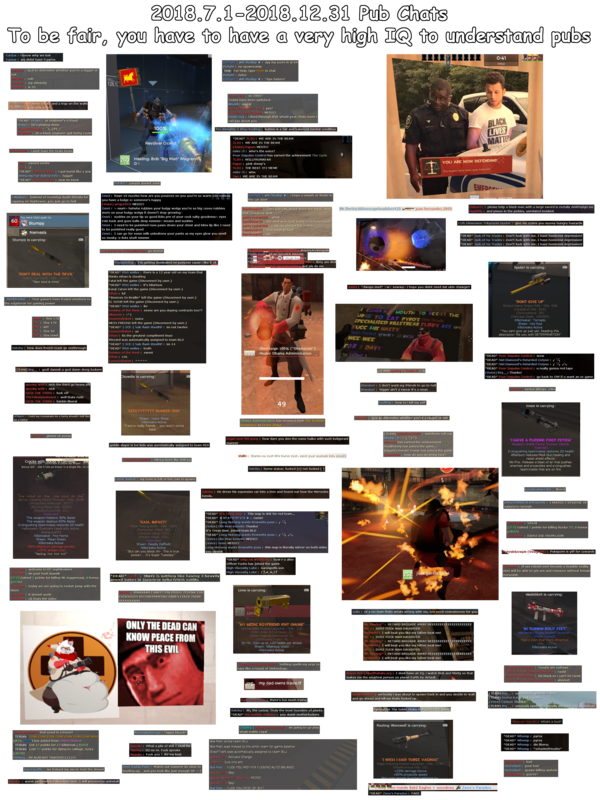 It says D: > Steam > Steamapps > Common > Team Fortress 2 is not valid. The first time I tried the path worked fine, then I had issues cause it wouldnt load scout or something, then I pressed quit to try again and since then it hasnt worked. I can't find the dates and times for the playoff matches for ETF2L and ESEA, are they just not up yet or am I blind. If anyone has the times that would be amazing, or just if you have a reliable website to see the match times and when they actually get updated, I don't wanna miss 'em. CrazyyCowJust try running the game without any fps configs and see what happens? Do u have an fps config on right now? Anybody know? Havent followed comp TF2 in a while, got back into and haven't find any website that could tell me, so does anyone happen to know? Also what stream it will be on? Thanks.